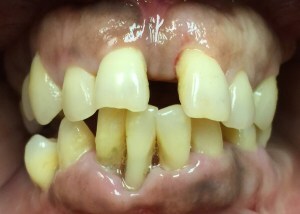 This patient was told previously that his stain was too deep to get his teeth whiter. 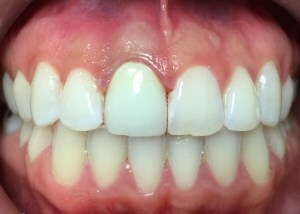 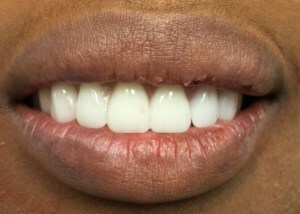 KOR Whitening techniques were used to achieve this result, and our patient was thrilled. 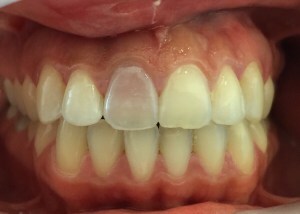 Patient had sharp edges on front teeth and wanted a quick solution. 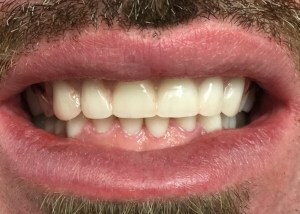 Restored with chairside composite bonding. 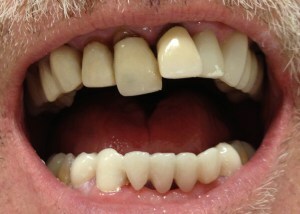 Patient suffered a traumatic fall and injured front tooth. 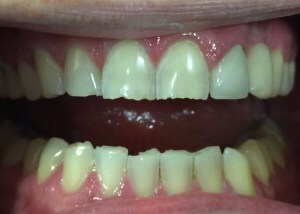 Treated with root canal therapy and esthetic crown. 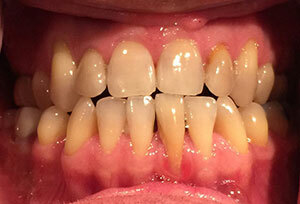 Patient suffered from severe periodontal disease and bone loss. 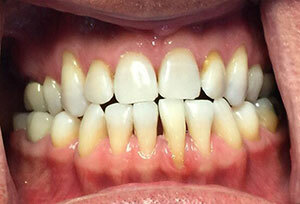 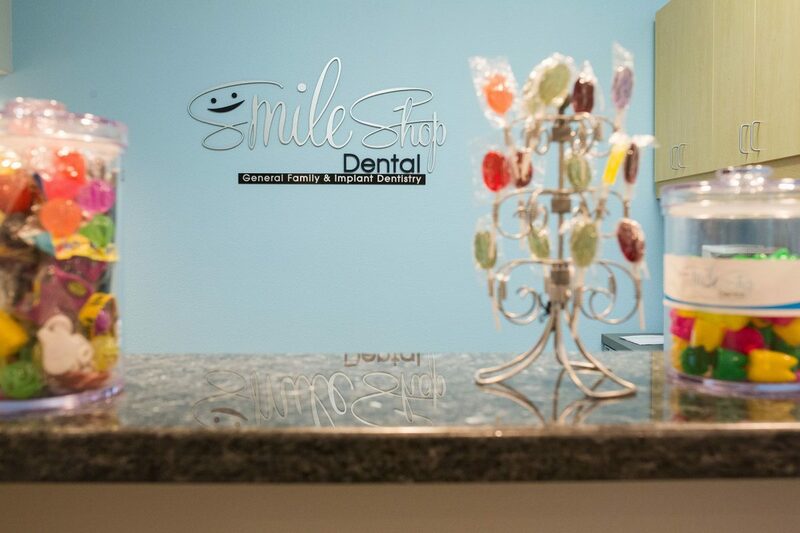 Treated with teeth extractions and same day dentures. 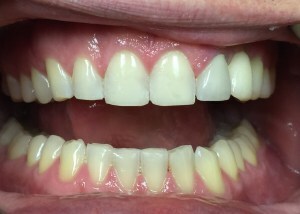 Patient had severely ground-down and worn teeth but wanted to save as many teeth as he could. 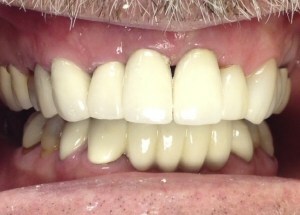 Restored with root canals, crowns and bridges, and an upper partial denture.